It's a Super Freak... It's Super Freaky! Our pal Bobby D discovered this one profiled at The Gear Page by the folks of RS Guitarworks. They shot the body with every different color the shop used over the course of a week, finishing it in black. Then it got relic'd, including the key wear-thru spots where we get to see all those colors. Aptly named "Paint Stick", I think this might also be called "Owlsley", especially since the cat died recently. Anyway, that's another trip. 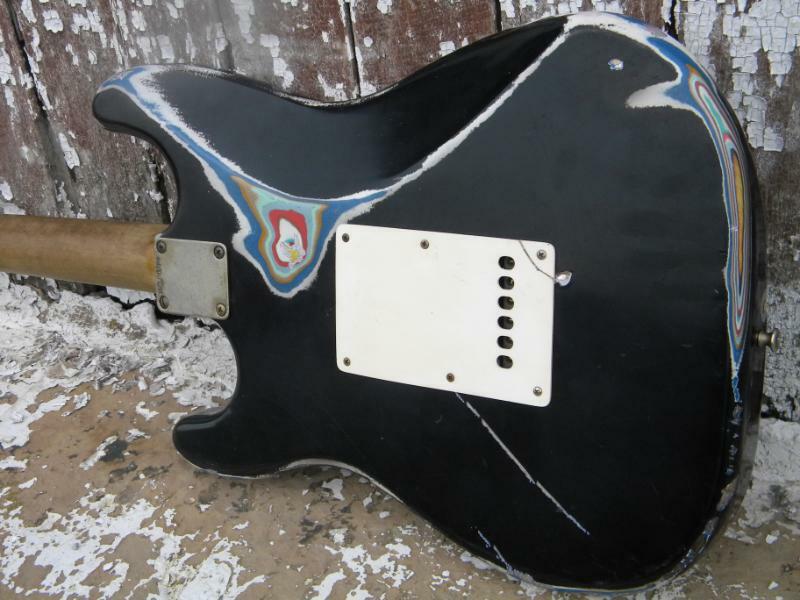 All the hardware is seriously aged, and the neck too-- and it deep too! 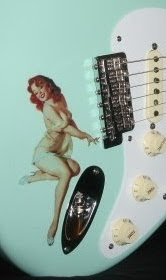 Check the reverse fat head style headstock. The pickup choices are about creating a mongrel partscaster vibe. 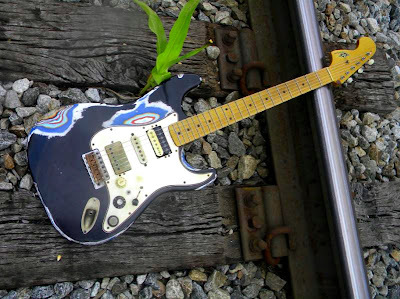 I almost wanna go whacko on my Oly White Strat with an orbit sander, a BernzOmatic and a big full color set of Sharpies. Should I??? Check out all those links above!